Recently, one of my good friends and I were having a conversation about things that we thought we were facing. We had been searching for answers, seeking spiritual guidance and encouraging conversations from others. Any of these sound familiar? If so, then you may be running and not fighting. It is so much easier to run than it is to fight. Believe me. I have been known to completely cut folks out of my life. By doing this I really haven’t resolved anything. I just didn’t face it. Out of sight out of mind, right? Wrong. I heard someone say, “Buried feelings never die!” And I agree. Just like weeds in a garden they will rise and choke the life out of everything around it. If running is easy then why fight? Let me be clear I am not talking about an altercation. I am talking about facing the very thing that you have turned your back on so that it will be resolved. THEN, if you want to walk away you can do so without the threat of it resurfacing. 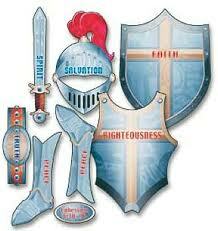 13 Therefore, put on every piece of God’s armor so you will be able to resist the enemy in the time of evil. Then after the battle you will still be standing firm. 14 Stand your ground, putting on the belt of truth and the body armor of God’s righteousness. 15 For shoes, put on the peace that comes from the Good News so that you will be fully prepared. 16 In addition to all of these, hold up the shield of faith to stop the fiery arrows of the devil. [b] 17 Put on salvation as your helmet, and take the sword of the Spirit, which is the word of God. Have you ever seen a fully dressed armed person walking backwards towards and enemy? No, never. In order to win a battle you have to face the enemy. Whoever or whatever that may be. When one party runs away, it is an indicator that they have admitted defeat. It also leaves your back exposed to be stabbed. Ignoring problems don’t make them go away. It invites them to stay! The battle may not be easy, it may even hurt, but eventually you will have to face it. Might as well suit up and charge!